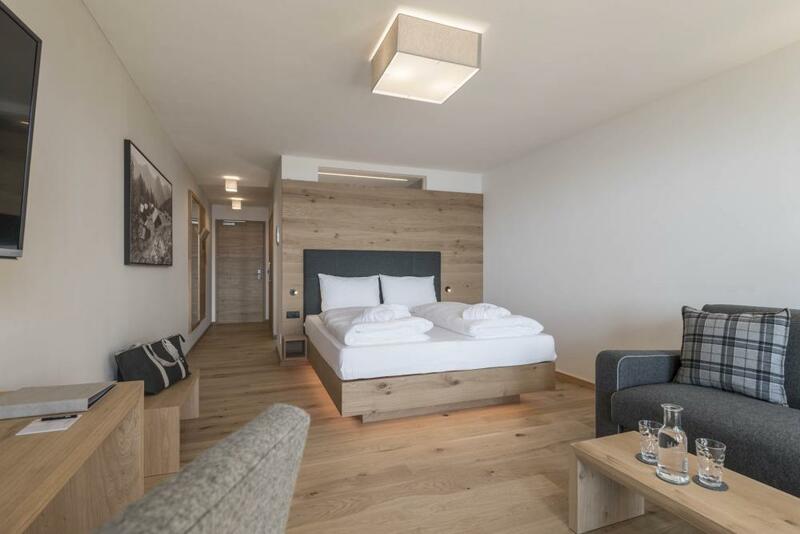 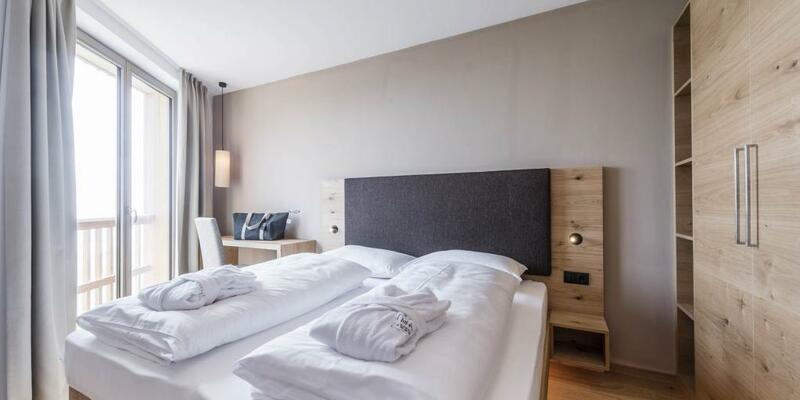 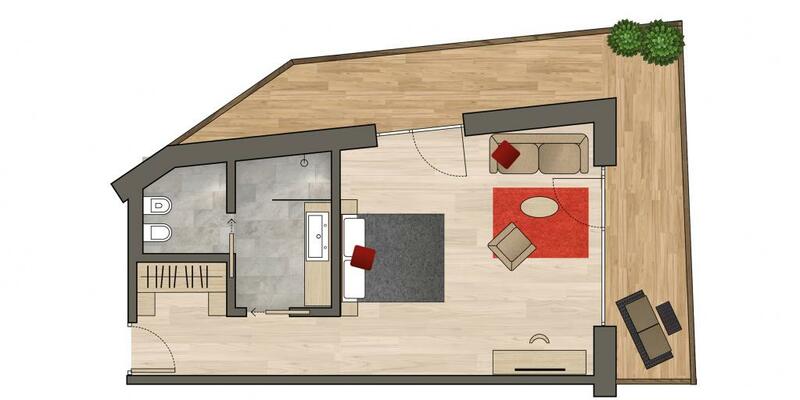 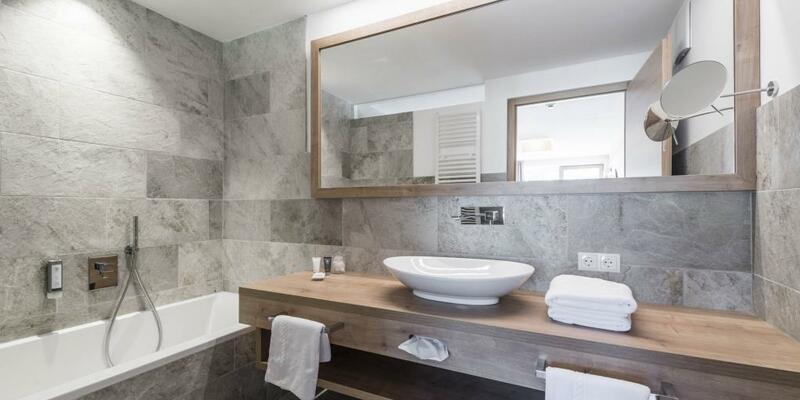 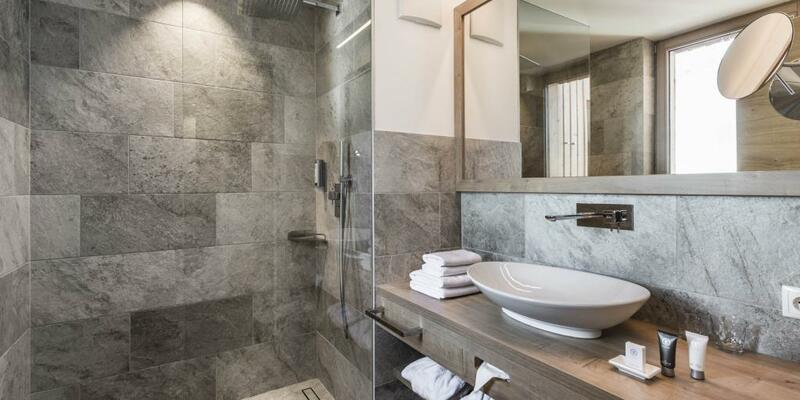 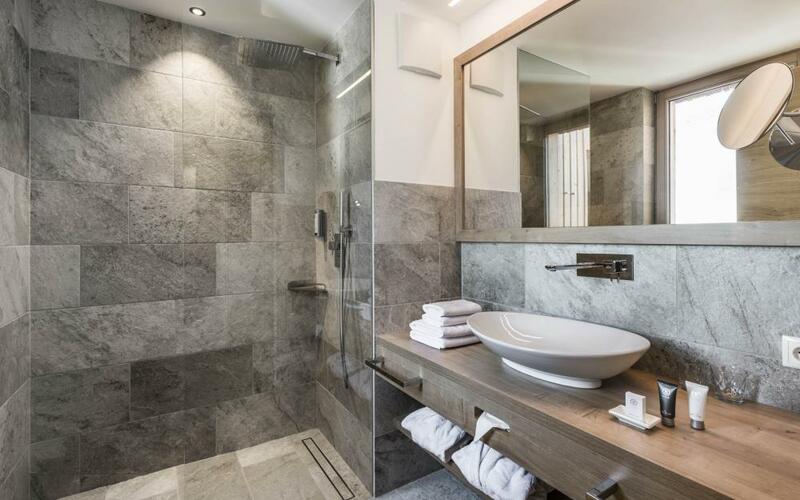 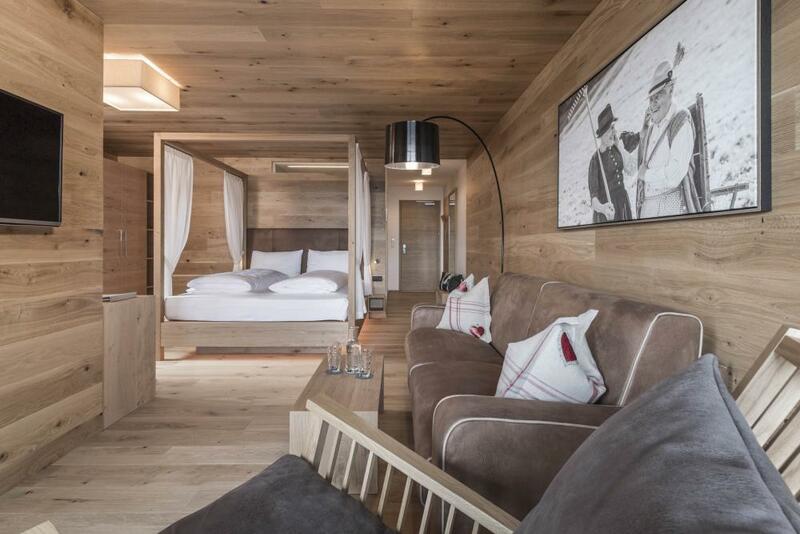 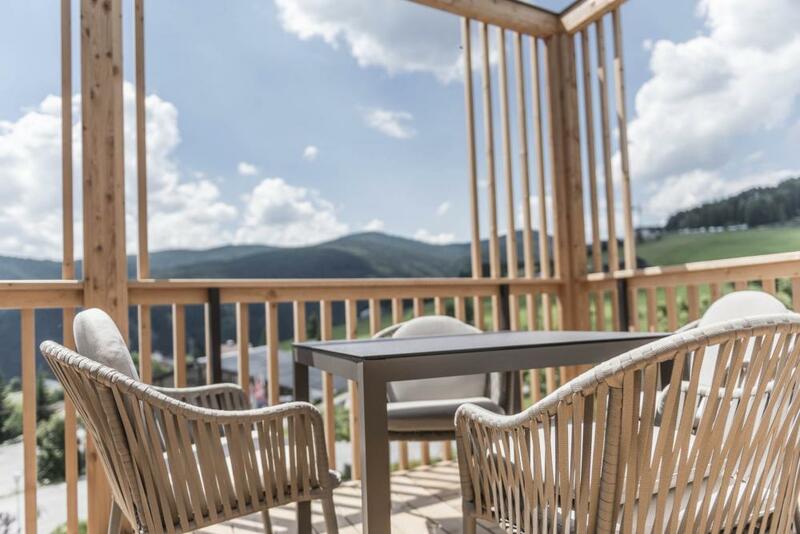 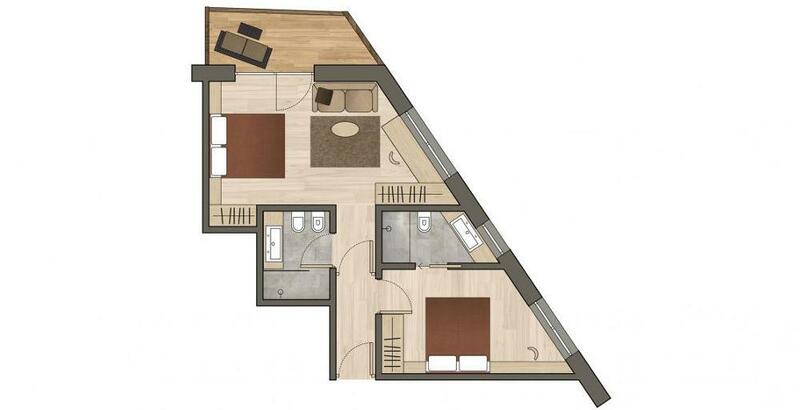 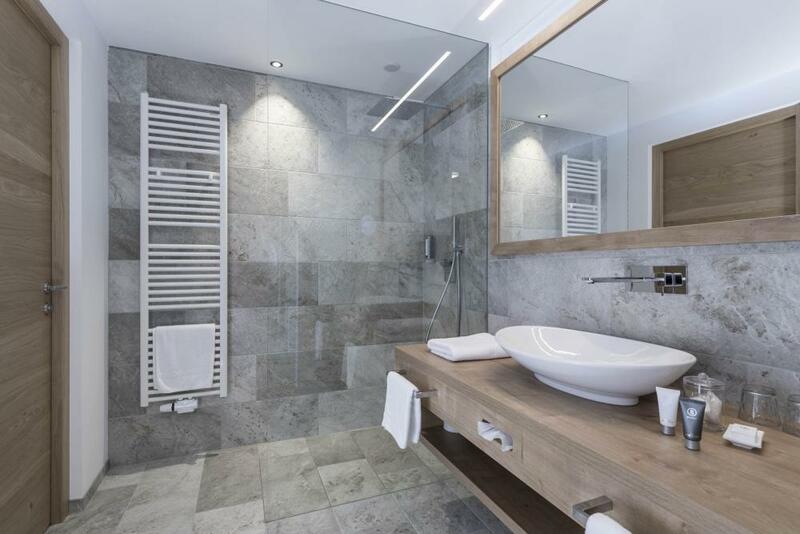 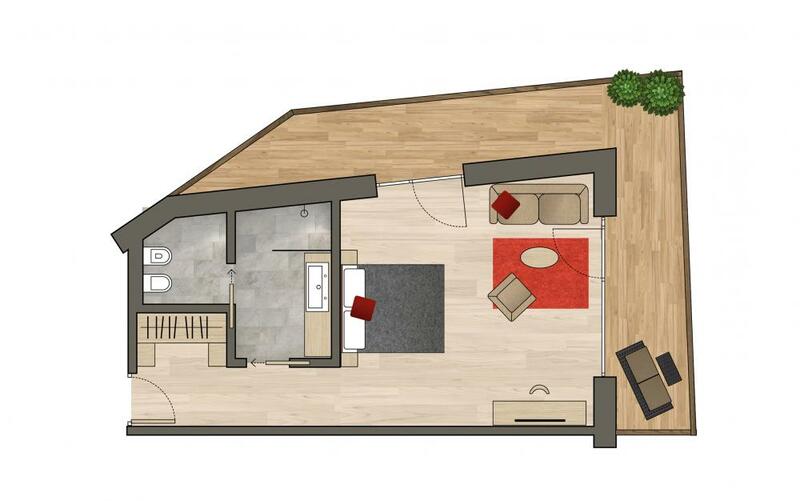 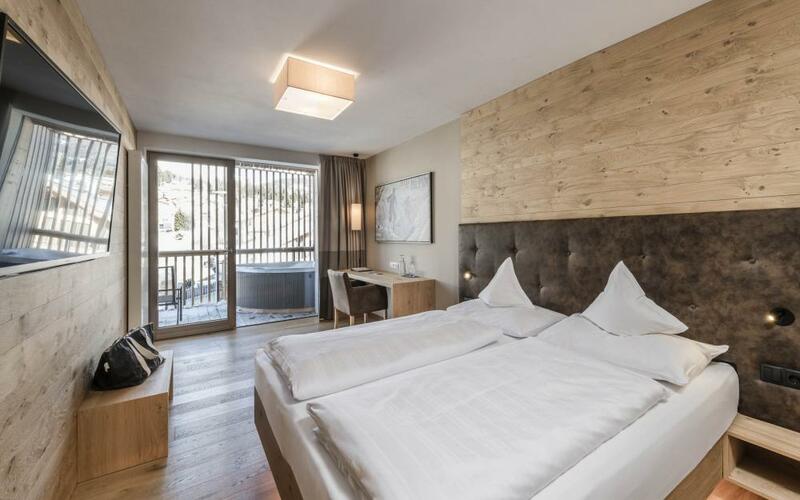 At Maranza/Meransen in South Tyrol you’ll feel completely at home in our new double rooms and suites. 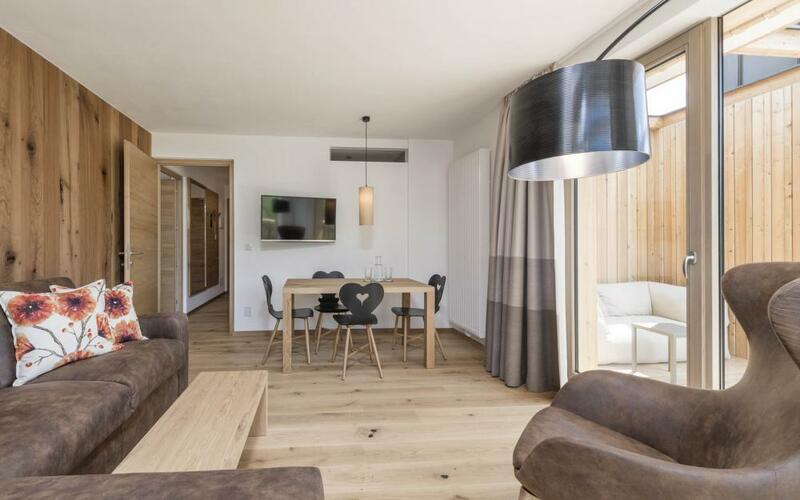 Thanks to the natural furnishings in stone and wood, our rooms and hallways are characterized by their essential linear design and refreshing, luminous interiors. 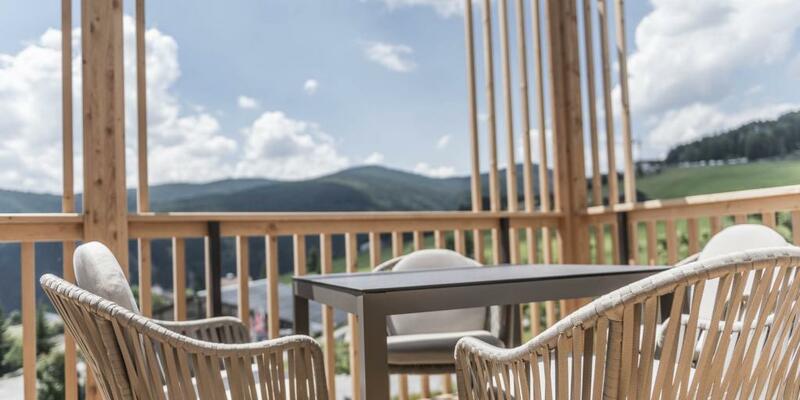 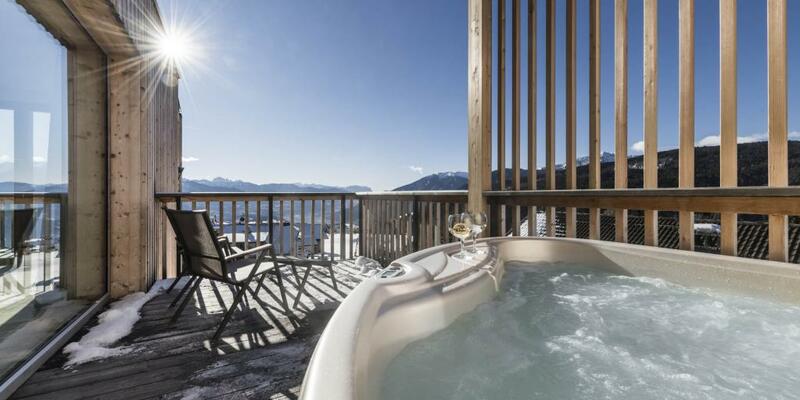 As a bonus, there are magnificent views of the surrounding mountains to enjoy from the windows, balconies and terraces. 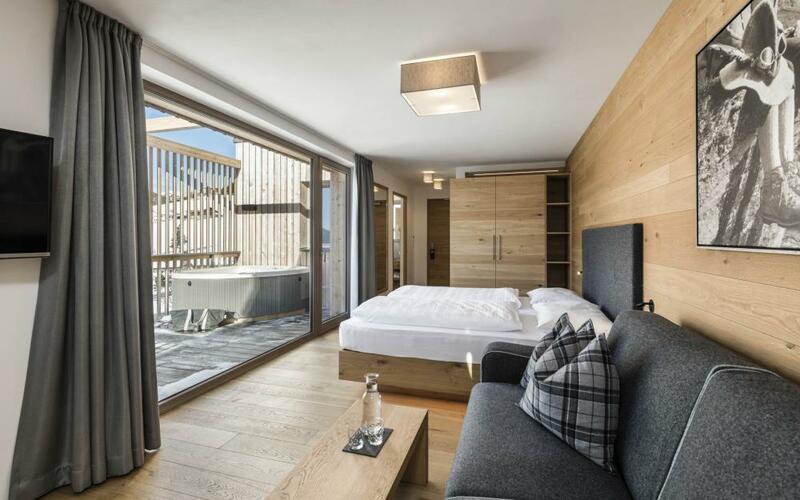 Laid out in contemporary Alpine design, our rooms enable guests to enjoy a tranquil and restful stay with us. 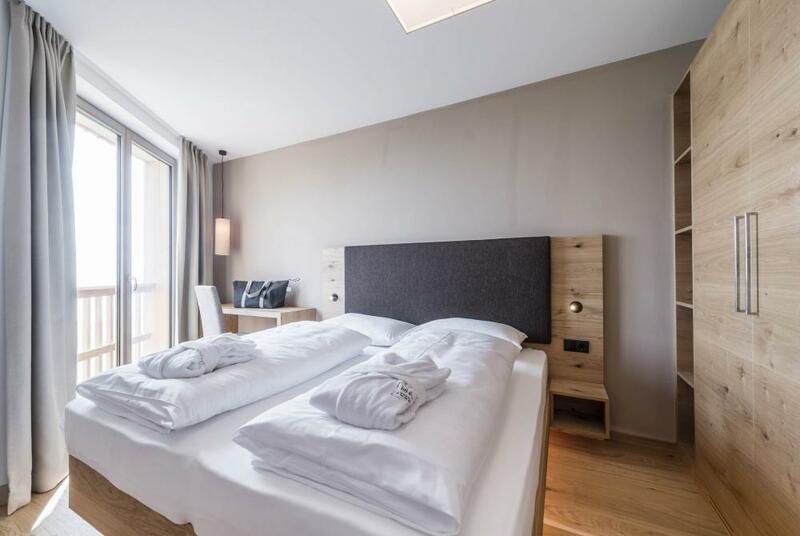 The floor-to-ceiling windows give the bedrooms a warm and bright feel and most of our rooms have also enough space for one or two extra beds. 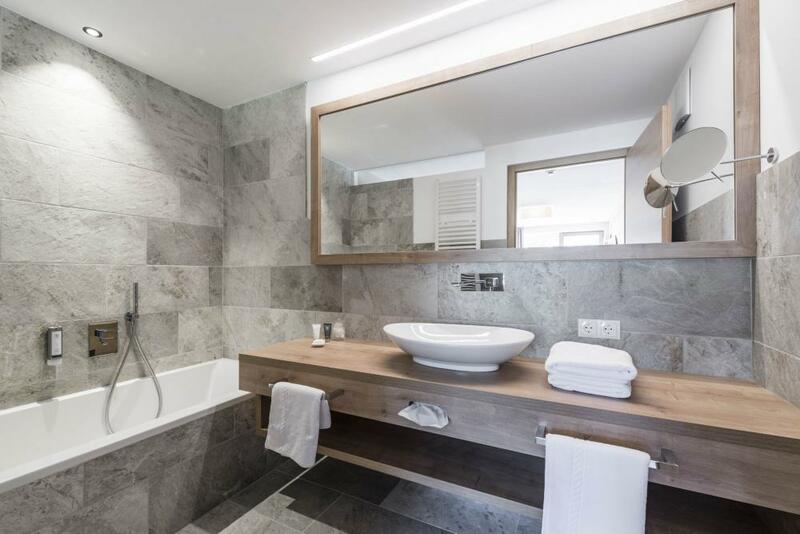 All our rooms and suites include a spacious bathroom, Wi-Fi and Sat TV and have longer beds of up to 2.10 m.
All our rooms are non-smoking and there are special doggie-friendly rooms equipped with special towels and blankets for our four-legged guests. 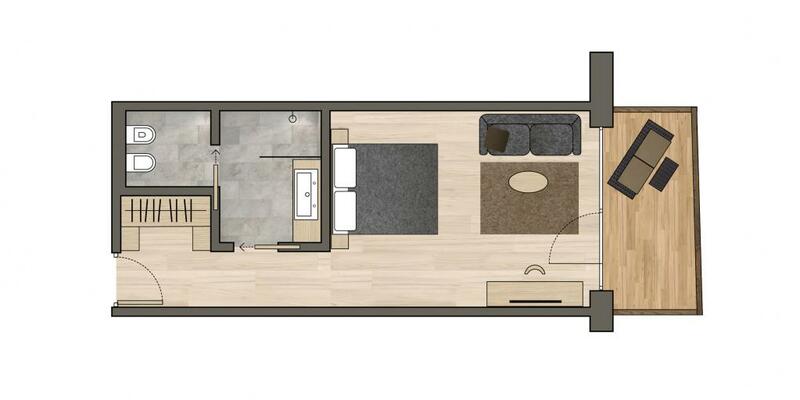 Equipped with sofa, satellite TV, WiFi, telephone, safe, minibar, and balcony. 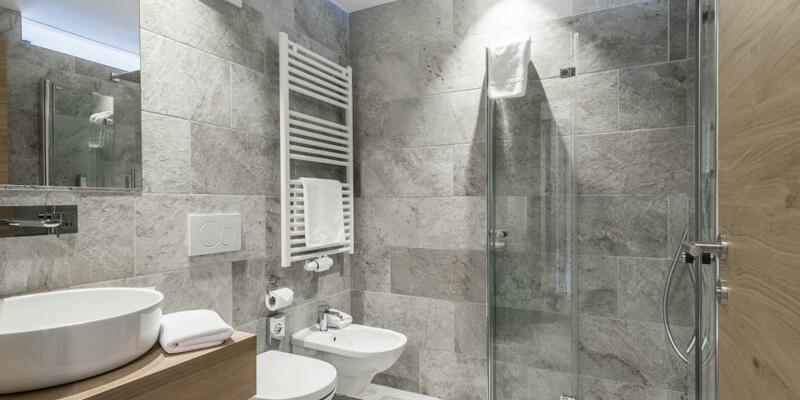 Bathroom with rain shower, bidet, toilet, hairdryer and make-up mirror. 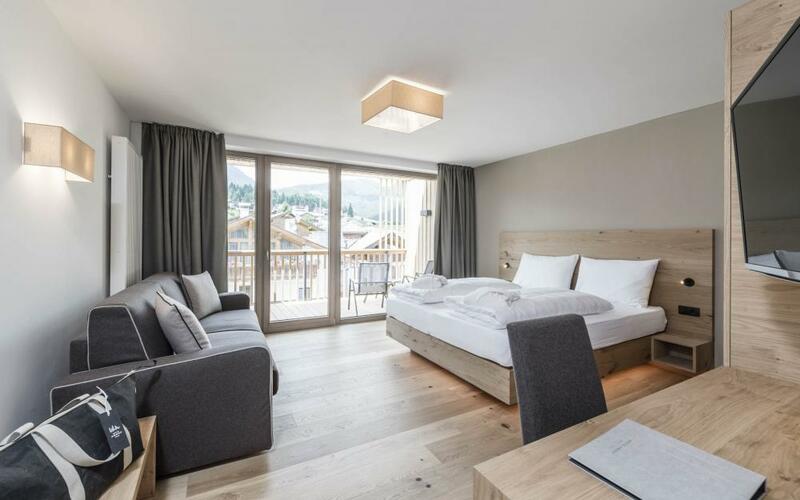 All rooms have large glass windows and wooden floors. 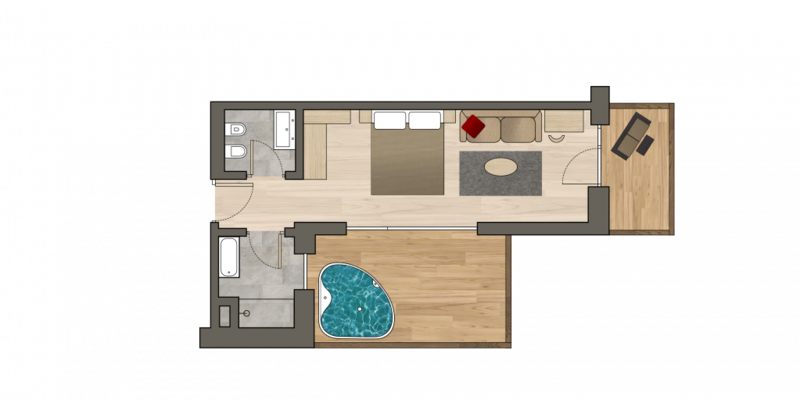 NEW - Suite on the 3rd floor with private whirlpool! 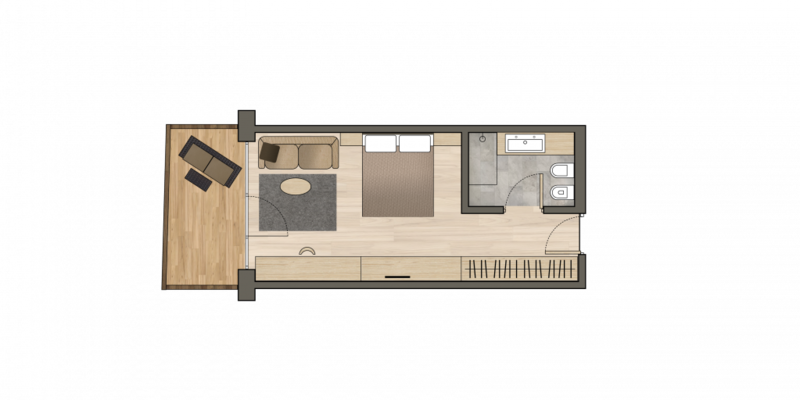 Equipped with sofa, satellite TV, WiFi, telephone, safe, minibar, and balcony. 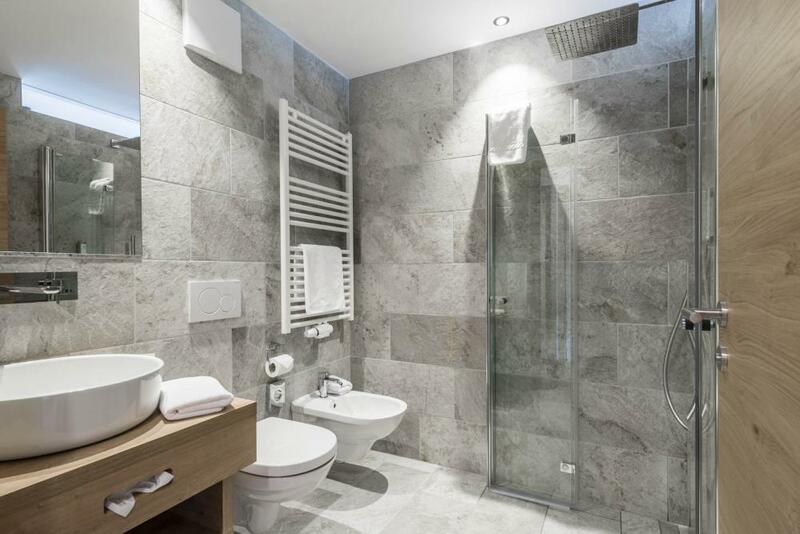 Bathroom with rain shower, bidet, toilet, hairdryer and make-up mirror. 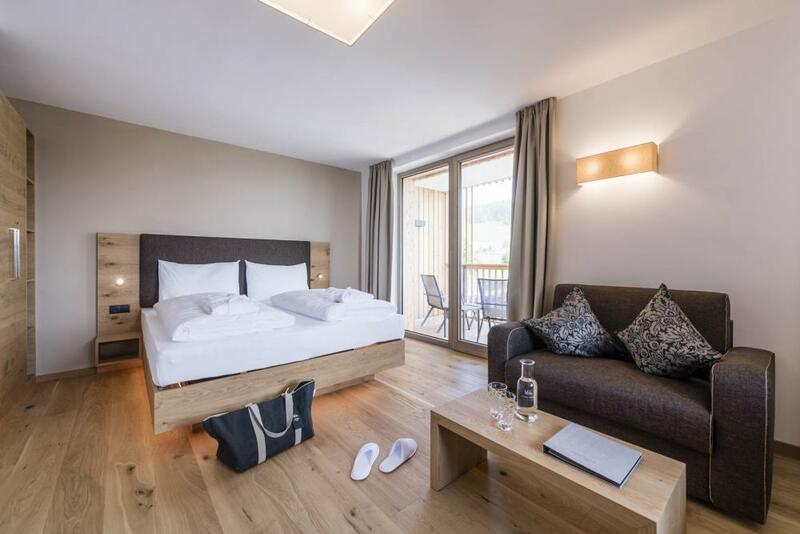 All rooms have large glass windows and wooden floors. 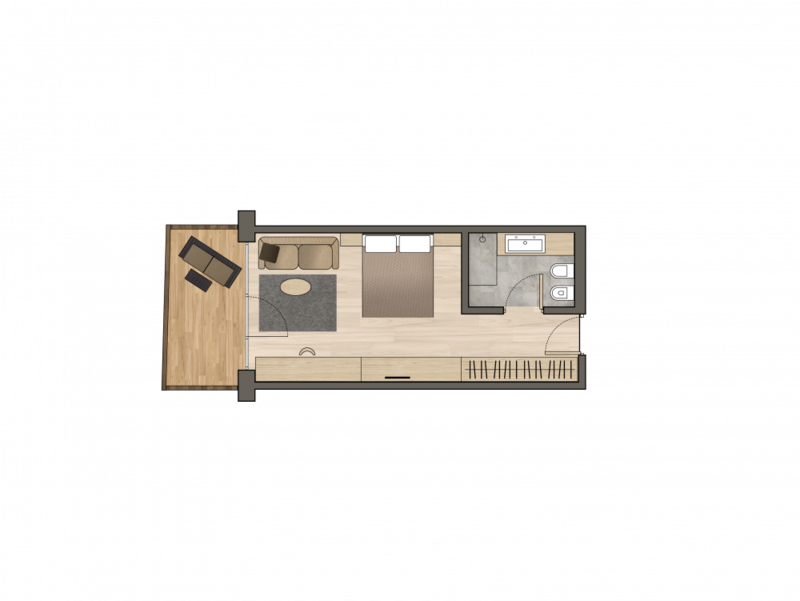 Suite with two separate bedrooms and two bathrooms for maximum comfort, equipped with sofa, satellite TV, WiFi, telephone, safe, minibar, and balcony. 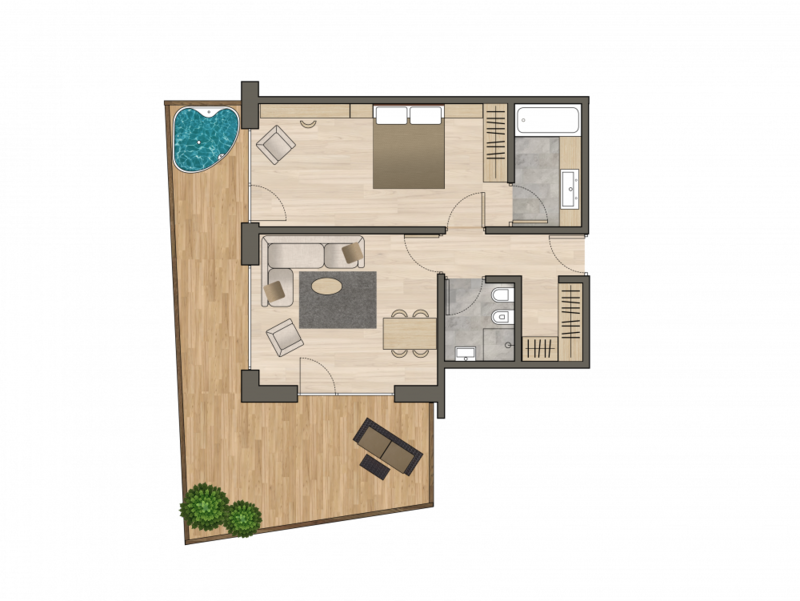 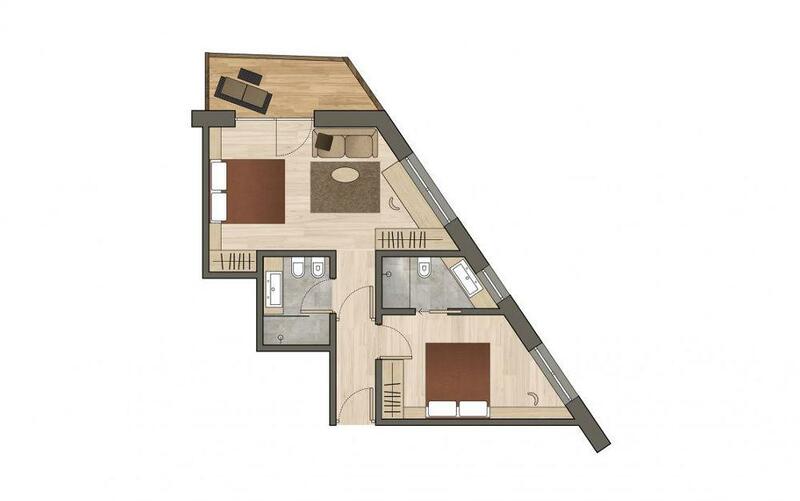 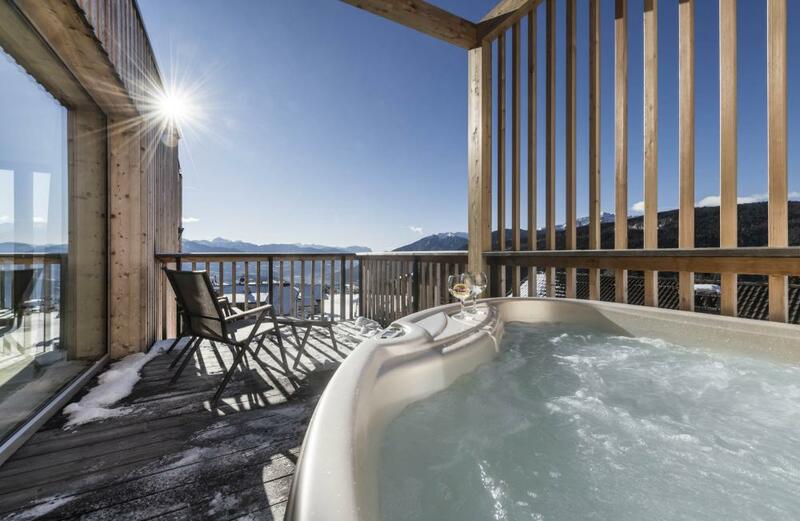 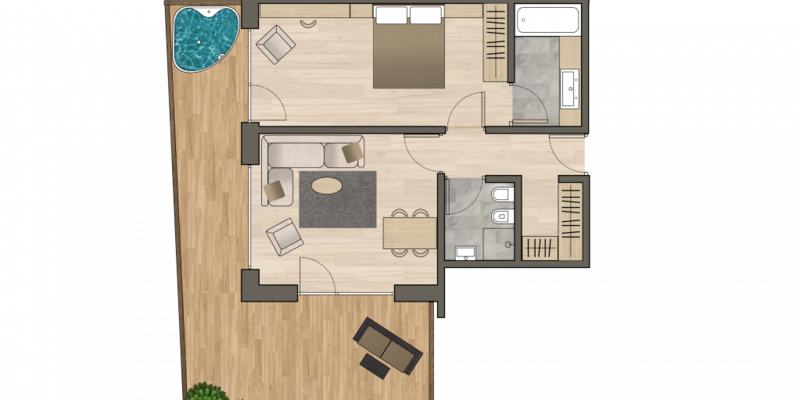 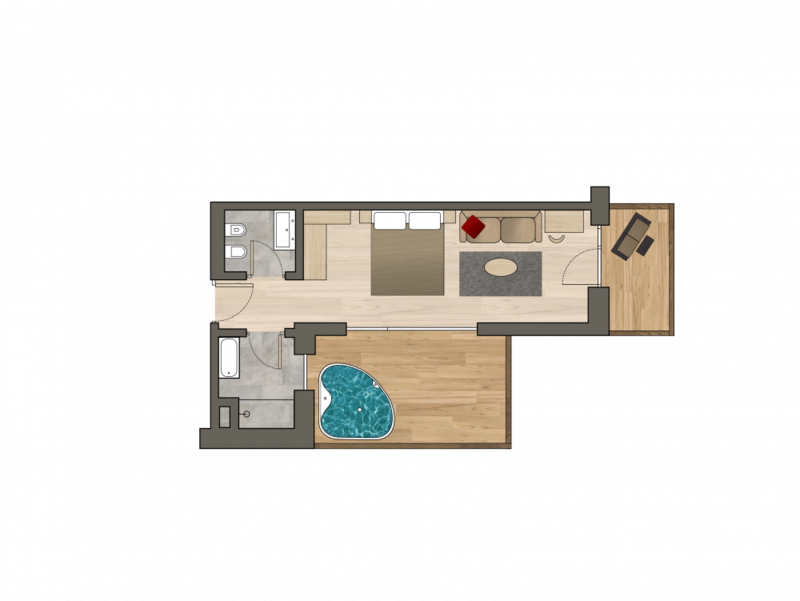 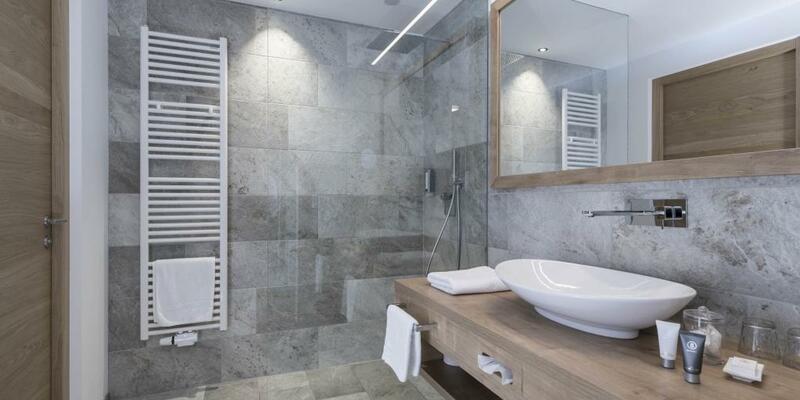 NEW - Luxurious suite on the 3rd floor with private whirlpool! 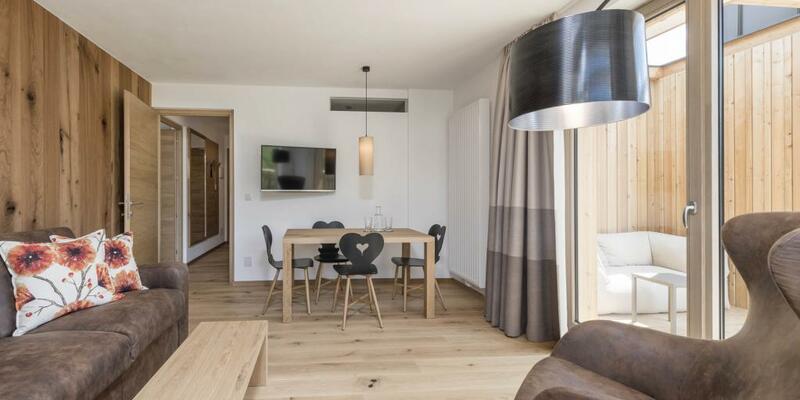 Suite with separate sleeping and living area, large terrace to enjoy the afternoon sun, and living area- Equipped with sofa, dining table, satellite TV, WiFi, telephone, safe, and minibar. 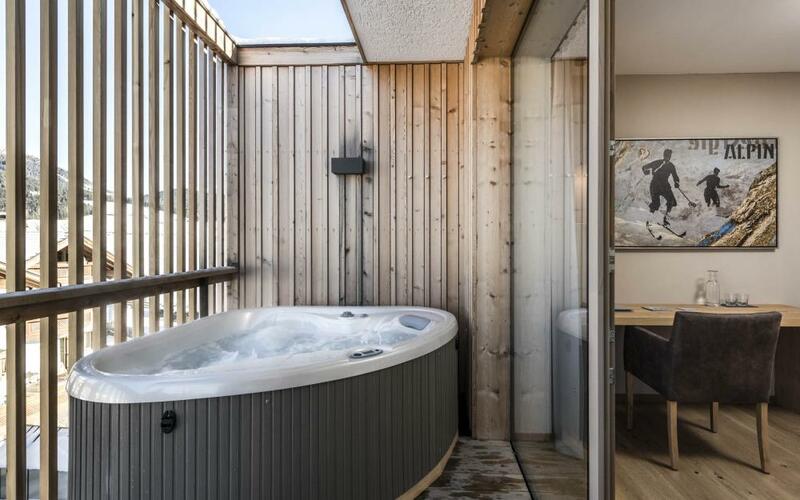 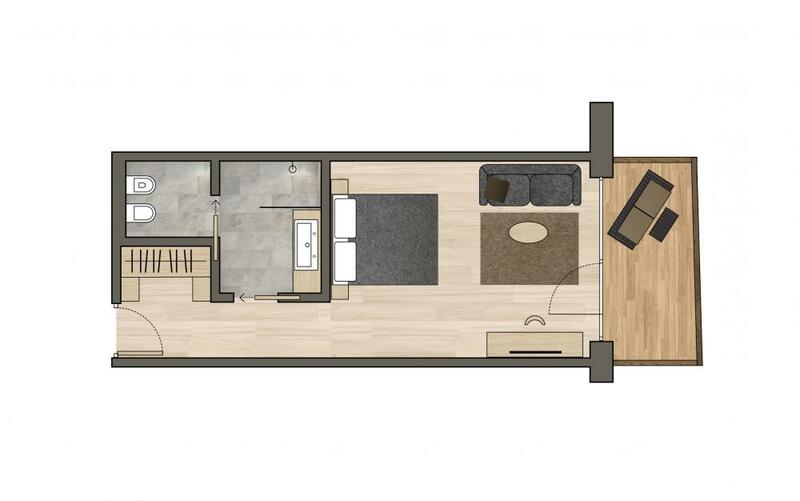 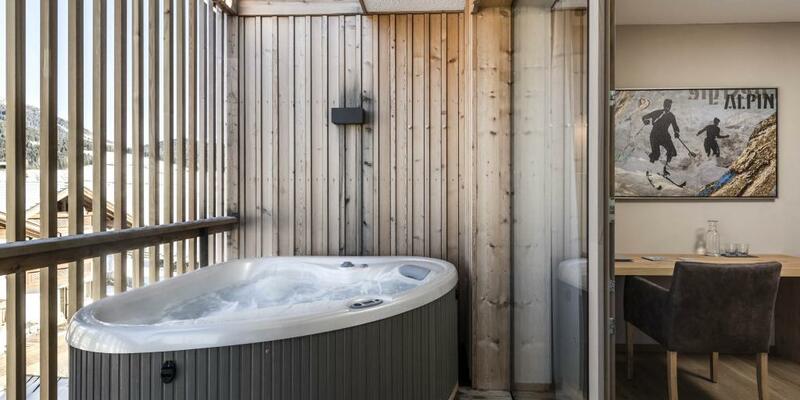 2 bathrooms with bath and rain shower, bidet, toilet, hairdryer and make-up mirror, wooden floor, frameless windows and outdoor private whirlpool.